from a Company in Business for Over 28 Years! We offer complete Direct Mail Advertising Packages including designing Bulk Mail Postcards, Printing, Bulk Mail Lists, Bulk Mail Preparation, Post Office Drop Off & Postage. Dealing with one Bulk Mail Advertising Provider is more efficient and with greater efficiency you’ll save both time and money. One of the most affordable and effective promotions available to small businesses is to Bulk Mail Postcards. A Bulk Mail Marketing Plan is vital for the success of your campaign. 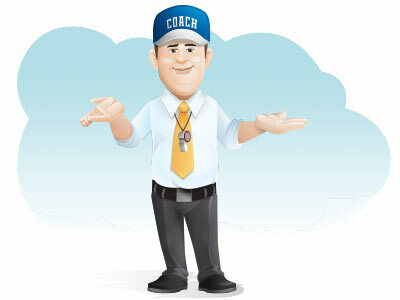 We’re here to help with as much or as little “coaching” as you need. From a 2nd opinion to a complete campaign strategy. 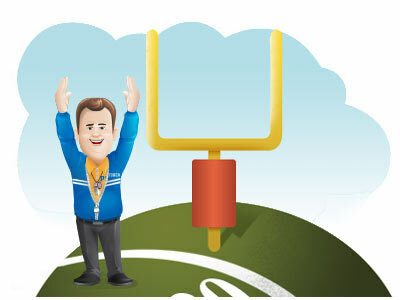 We’ll share our Play Book (5 One Minute Videos) and help you create a winning Game Plan. If you are planning a bulk mail marketing campaign, we can provide everything you need: Custom Design, Printing, Bulk Mail Lists, Mailing Service & Postage. 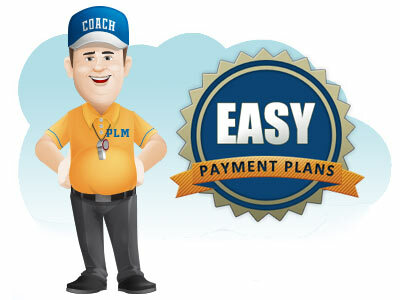 Get started with just a $100 Deposit and you won’t pay another penny until you are delighted with design and list work. 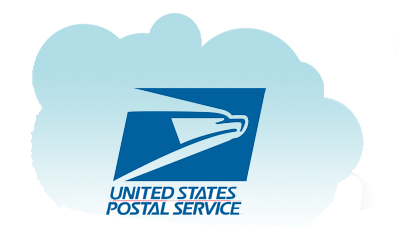 The Every Door Direct Mail Program from the United States Postal Service is the most affordable way to bulk mail postcards. We offer Two EDDM Options. 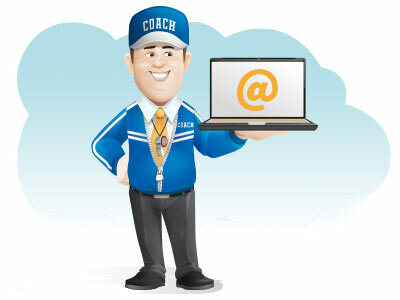 One of our Coaches can help you decide which is best for you. 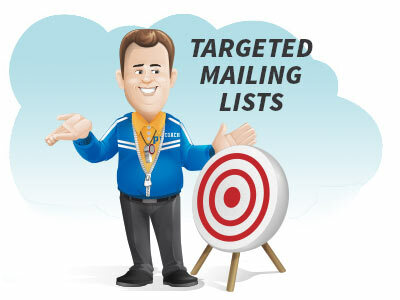 EVERY DOOR DIRECT MAIL "EDDM"
A successful bulk mail marketing campaign starts with a best mailing list available. We are list brokers representing the biggest names in data management. Companies we use include: KBM, ACXIOM, Epsilon, Experian, Dun & Bradstreet and more. We shop the best sources based on the criteria you need to generate the best response for your campaign. Low Minimums and Great Prices on you Bulk Mail Lists. 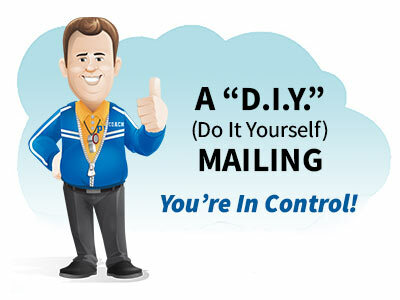 Email marketing is the perfect marketing companion to a bulk mail postcards campaign. 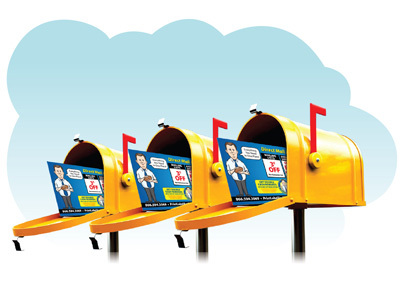 Now you can reach prospects in their postal mailbox and their email in box. In addition to Bulk Mail Advertising we offer Quality Full Color Printing of all kinds of items: business cards, letterhead, envelopes, door hangers, flyers, postcards and much more. 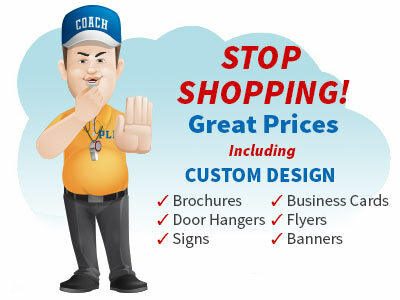 Our prices include custom design from our talented graphic artists. Get started with a $39 deposit and get your first draft the next business day in most cases. You won’t pay another penny until you are delighted with the design. It’s our No Risk Design Guarantee: Unlimited Changes at No Additional Charge. Think about it. Bulk Mail Advertising is one of the few media choices available where you can be certain that your message will reach your prospect. Newspapers, TV, Radio, Billboards even the Internet can be “hit or miss”. Everyone gets their mail every day so your message is always reaches your prospect. Furthermore, a postcard delivers your message faster, while the recipient is sorting his mail. Ceate a Wave of New Business! When looking for the Best Direct Mail Advertising Company to handle your campaign, there are a lot of choices online.